Gulielma Penn’s receipt (recipe) for making A Tart of Spinaige was from a hand-written manuscript and did not include information on the details of the coffin. 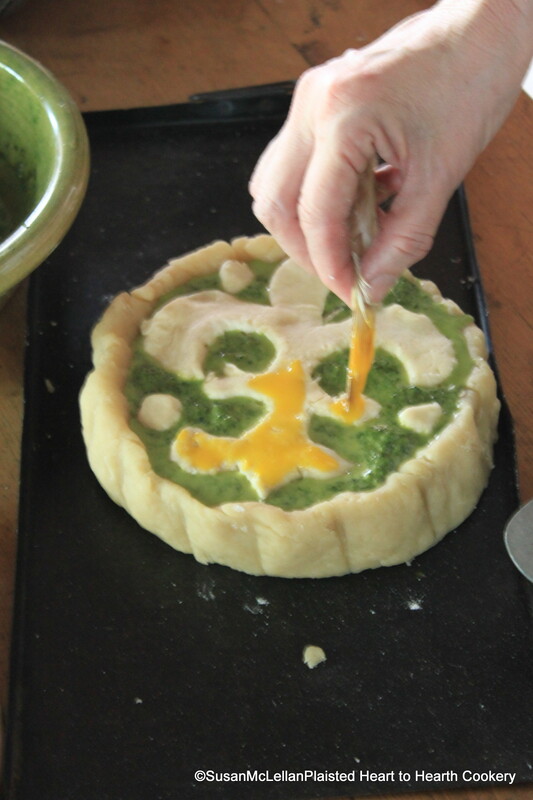 I referred to Robert May’s To make a Spinage Tart of three colours, green, yellow and white (with diagram) to finish the coffin with a design of fine paste (pastry). I am adding the yellow by using small feathers dipped in egg yolk.